Winter Sale - Save Now! Up to 20% OFF! Ends Today! 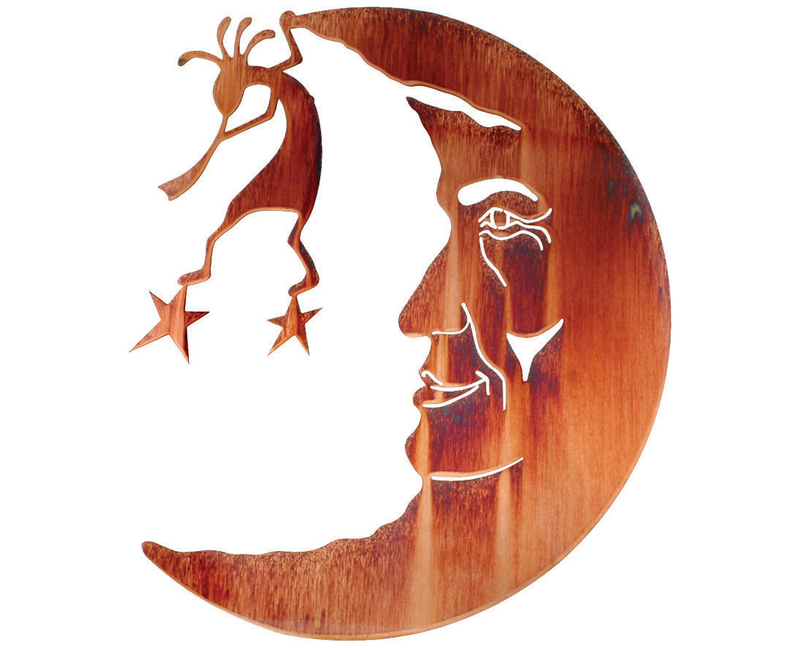 Add some whimsy to your modern decor by hanging this phenomenally crafted metal wall hanging in your home! 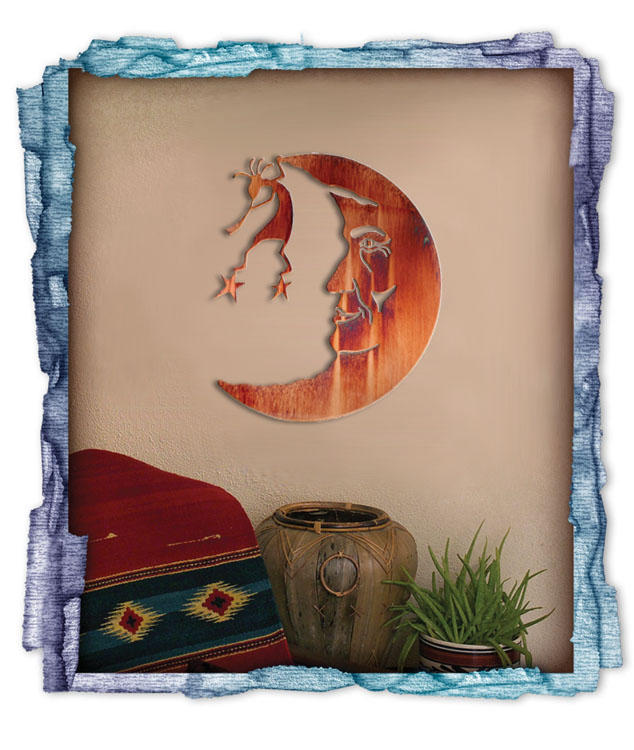 The Kokopelli Moonscape Celestial Metal Wall Sculpture features a half moon (and the man in the moon’s face) upon which a tribal dancer and musician is dangling. 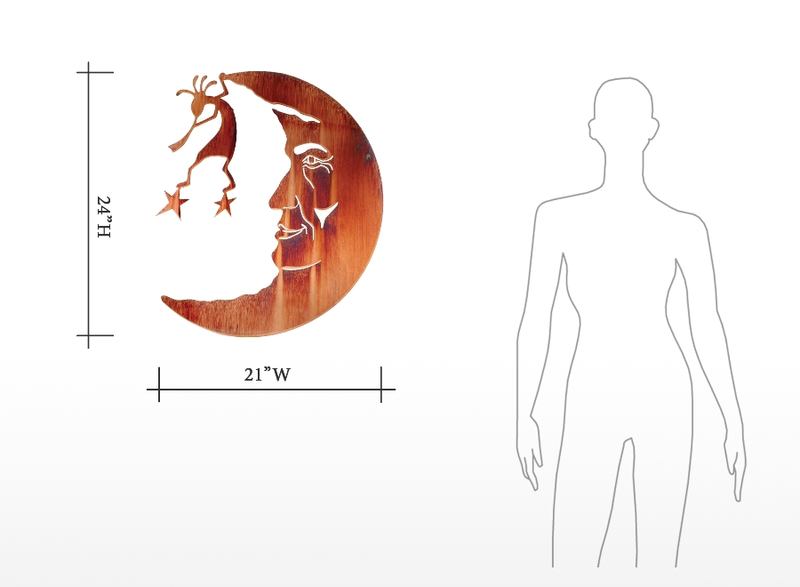 Two stars also dangle from the tribal dancer’s feet for a look that will bring a smile to your face and a giggle to your lips.